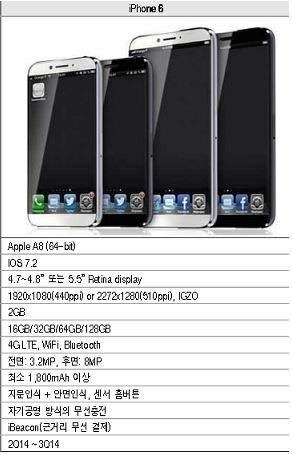 ConceptsiPhone have released today a new concept of iPhone models based on recent rumors and specs. 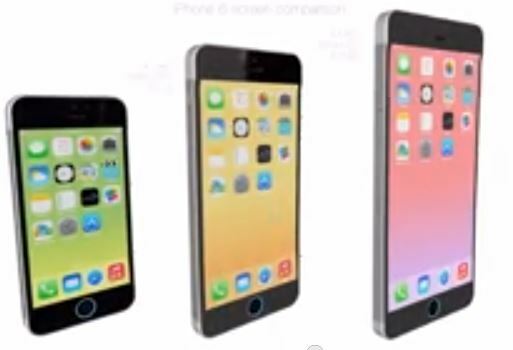 This new concept video works around three different iPhone 6 variants – 4 inch, 4.7 inch, and the phablet 5.5 inch iPhone 6. There have been so many rumors backing up each other on Apple offering different variants of iPhone 6 to be made available in different screen sizes. Designed by Enrico Penello and Ran Avni, this iPhone 6 concept video focuses on different features of Apple’s upcoming flagship including its volume keys, facial recognition, Touch ID, curved screen, and of course the display glass tech. Lots of rumors claim that Apple will launch several new iPhone models of different screen sizes – 4 inch, 4.7 inch, and 5.5 inch. New concept by Enrico Penello and Ran Avni shows how these devices will be. Introducing the iPhone 6 devices. Favorite concept features: Curved display glass, illuminated volume buttons and Touch ID, Apple A8 (64-bit) processor, 2GB of RAM, 16GB / 32GB / 64GB / 128GB storage options, facial recognition, Touch ID (Fingerprint scanner) with 700 DPI. The screens: 4 inch 1136×640 ( 326 ppi ) display for the cheapest iPhone, 4.7 inch 1920×1080 ( 440 ppi ) display for the standard iPhone, 5.5 inch 2272×1280 ( 510 ppi ) display for the largest iPhone. The specs shared by the designers are coherent with the one earlier released by KDB securities for its clients. – iPhone 6 Rumor Roundup – News, Release Date, Display, Touchscreen Technology and More! 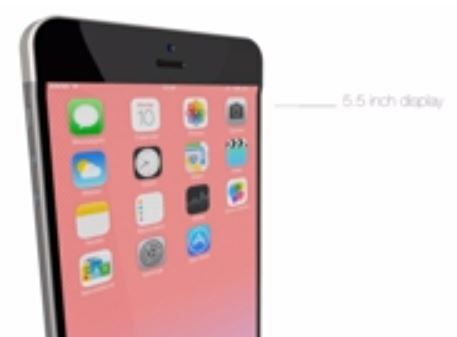 This report had also shared similar screen dimensions for three iPhone 6 variants. The 4.7 and 5.5 inch iPhone 6 models will have resolution of 1080 x 1920 and 1280 x 2272 respectively. Report also shared that iPhone 6 display glass will be made of IGZO (Indium Gallium Zinc Oxide) instead of the usual LTPS (low-temp polysilicon) used in current iPhone models. Like the previous iPhone models, iPhone 6 is expected to release in third quarter of this year.